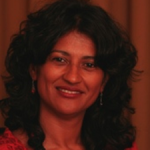 Sonia Dias is one of the authors of a new study from the organization Women in Informal Employment: Globalizing and Organizing (WIEGO) about the waste picking economy. We interviewed Sonia to share some additional insights. With responses collated across five cities – Belo Horizonte, Brazil; Bogotá, Colombia; Pune, India; Nakuru, Kenya and Durban, South Africa – the IEMS report focuses on waste pickers’ working conditions, their challenges and their contributions towards the cities they live in. Sponsorship helps keep our content free and you can support us at any level. 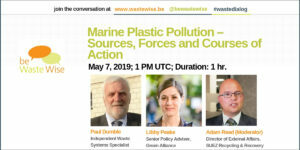 Write to connect@wastewise.be to know more. Q: What is the effect of the global slump in oil prices on waste pickers? Economic crises tend to drive people into informal activities. In this sense, it is easier to enter into waste picking, given it requires little education. Those who have some working capital might enter the recycling chain as small dealers, while those with none might enter as a picker and/or sorter. The IEMS identified an increase in competition for all cities but less so for Belo Horizonte, Brazil. Brazil was one of the countries that better navigated through the 2008 economic crisis in the years that followed it. There was a safety net to which workers in general could rely on to overcome impacts of the downturn. Competitive pressures in the other four cities were much greater than in Belo Horizonte. The case of Belo Horizonte illustrates how in places where governments support informal workers the impacts of global crisis might be less acute. Several measures related to the process of strengthening the state in Brazil as a whole, including the adoption of pro-poor social expenditures. Cash in transfer to the disadvantaged, tax incentives for investments, opening of credit lines from national banks for waste pickers and other social programs helped waste pickers in Belo Horizonte be less affected by the global slump. The IEMS findings contribute to the ongoing debate about the role of the state and transformative modes of governance. The study showed not only how government grants might function as a cushion to fall back on in times of instability (Belo Horizonte), but how the lack of such programs adds layers of vulnerability to workers’ lives (other cities in the study). Q: New models in organizing waste pickers are increasingly taking advantage of the need for waste management services in low and middle income communities by picking up the entire waste stream and not just the high value materials. What are the best examples for this trend? Where waste segregation is not part of the culture, waste pickers are key economic actors whose materials translate into profits for scrap shops, recycling companies, producers and artists. Waste is also often an input for other industries. 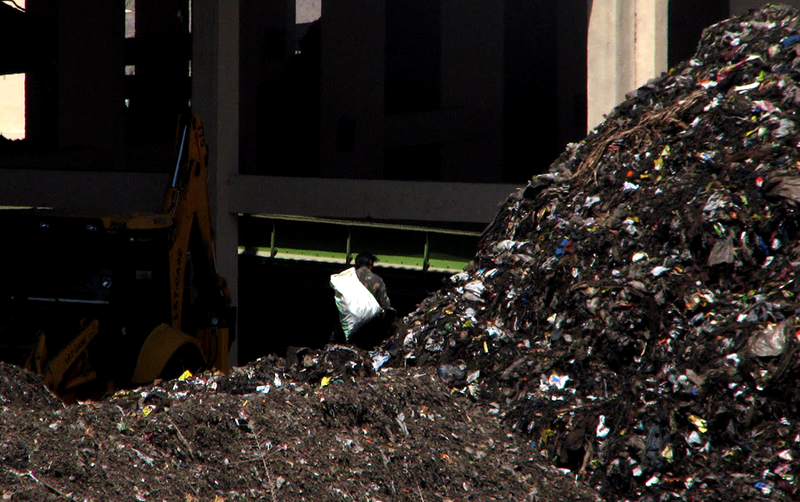 In Pune, for example, waste pickers collect organic matter for composting and biogas. In Bogotá, waste pickers managed to get a payment system implemented by the municipality that remunerates them for the work they do by collecting recyclables. Recyclers report ingenious ways of marketing materials collected. In Belo Horizonte and Nakuru, waste becomes artistic material. As a focus group participant reports, “we sell egg shells, and bottle tops, bones, and cans to artists and designers” (IEMS Sector Report). Q: What is the role of organizing in the livelihoods of waste pickers ? Waste pickers organizations make the demands for integration into formal solid waste systems and for recognition as key economic actors visible. Membership-based organizations, especially in Bogotá, Pune and Belo Horizonte were deemed crucial for facilitating the representation of workers’ interests with municipal governments. In the case of Bogotá, for instance, where progressive legislation had been passed years ago, the Association of Recyclers from Bogotá played a critical role. It helped oversee whether legislation was being implemented and assessed the unexpected outcomes from these pieces of legislation. Organizations advocate for the improvement of workers´ lives in a number of ways. They fight for social recognition, improvement of incomes, improvement of working conditions (recycling facilities, transport, etc.) and find new niches in the value chain. Q: Can you provide an overview of barriers for waste pickers around the world? For example, what’s the key barrier in South Asia or Latin America? Walking long distances to collect materials is generally a common complaint by waste pickers worldwide and it was more so for the city of Durban than in the other IEMS cities. In Belo Horizonte, waste pickers stressed the distance of recycling industries as a significant constraint to moving up in the recycling chain. Workers claimed that in order to sell to industries, they needed bigger spaces for storage. In Bogotá, the issue of the large quantities required by industries also came up as a relevant topic in the focus groups. Workers in Bogotá also stressed that they transported materials to scrap dealers at their own cost. In Pune, workers emphasized competition (between informal workers and scrap dealers) and large variations in sales/income as issues they have to contend with. Another constraint mentioned in Pune was related to moving up in the value chain in terms of the difficulty to deal with the process of giving quotations and bidding for recyclables when negotiating with intermediaries. Waste pickers also reported they are subject to occupational risks as they deal with putrefied matter, sharp materials and unsanitary work conditions. Health and safety issues came up quite frequently in Pune, with 91 percent of itinerant waste pickers, 67 percent of fixed pickers and 63 percent of itinerant waste buyers mentioning this as a pressing problem. One participant said, “They don’t appreciate the danger involved in our work. Pushing that loaded cart on uneven roads is really dangerous. Loading unsorted garbage into the truck is also dangerous. If citizens put glass bottles etc. in it, when the automatic loader is working, sometimes the glass shatters. It happened just the other day, and anyone nearby can lose an eye. You have to make sure there is no stone or glass when you load the machine. It’s so dangerous.” (Pune FG 4). In other cities, workers also pointed out health and occupational problems. The major problems faced by waste pickers relate to contamination from biological and chemical hazardous waste, ergonomic problems, musculoskeletal problems, accidents, dog bites, injuries from sharp objects and fires caused by flammable liquids inside containers, among others. In Belo Horizonte, body pains were a common complaint as a participant stated, “I see the majority of the people complaining of muscle pains and back pains” (FG13). In Nakuru, the lack of gloves and masks were raised as a participant stated, “We don’t have protective gear. Our work is hazardous. We are exposed to dangerous materials which always harm us” (FG 14). In Durban, a participant expressed acutely another key problem — emotional vulnerability: “It disturbs us to be undermined by other people when we are doing our job, it makes it difficult for us to carry on with our job, and sometimes you will stay at home maybe for two weeks without going out if somebody has said something to undermine you.” (FG 8). In addition, infrastructure is a key problem which adds to the vulnerability of waste pickers and affects their health. In these cases, and especially in cities where shelters or sorting/storage space are not provided, heavy rains provoke significant losses for the workers. Market risks were a common theme in all cities with waste pickers having to deal with seasonal variations in prices for recyclables as noted in the city reports. The level of acknowledgment and support given to waste pickers by city governments or the lack thereof affects the livelihoods of waste pickers for better or for worse. In the latter, support to their work indicates public recognition of the contribution they make to solid waste systems. Whereas in the former, waste pickers work and life conditions are worsened and their livelihoods threatened. Belo Horizonte and Pune are two interesting cases to consider in light of the formal integration of waste pickers within solid waste systems in place in those cities. Belo Horizonte is an example of how state intervention has been perceived as a positive driving force by the workers and has been, overall, acknowledged as beneficial to them. Waste pickers in Pune also acknowledged the importance of recognition and integration in service provision through their cooperative SWaCH.